This is a new style TRAVEL-GUIDE-MEETS-WEDDING-FEATURE post. What happened was, I got one request for a New Orleans travel guide and one query from a bride who wanted to get married there and NOBODY on twitter was responding to my pleas. Then kidchamp stepped in (as she is wont to do) and bragged about her badass friends who threw a badass wedding in New Orleans. Sarah and Judd live in Brooklyn with their ungrateful cat, Doug. She is a book editor and he is the lead singer of Visible From Space, a New Orleans-style funk rock band. There is no party like a New Orleans party. My husband grew up there, we spend a lot of time in the Crescent City as it is (we live in New York), and when we got engaged a couple of months after Hurricane Katrina, we felt a responsibility to bring some joy back to the city that had brought so much joy to us – not to mention bring in a hundred party-ready tourists who would no doubt have the time of their lives and then keep on coming back and spending their money in the Big Easy. 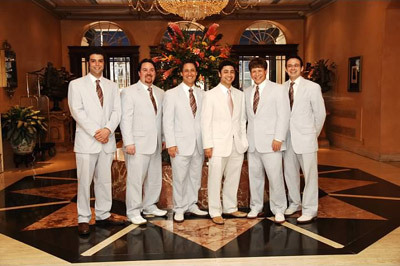 After extensive research all over the South, we hired a live (and local) band – The Boogie Men – who already had Lyle Lovett's "She's No Lady" and Rick James' "Give it to Me Baby" in their repertoire. Done. The House of Blues catered with a long list of passed hors d'oeuvres and buffet items from their excellent menu (hush puppies, fried oysters, brisket, etc. 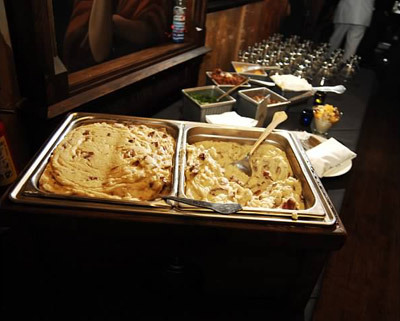 ), and they accommodated my desire for a mashed potato bar, served in martini glasses with toppings like shredded cheese, chorizo, sour cream, and hot peppers. We used a local party decorator for just a few table cloths and centerpieces for the larger round tables (we needed enough sit-down space for grandparents and a rotating cast of exhausted dancers) and everything else was covered by the already-awesome interior design of the Parish Room. The Boogie Men played on an elevated stage which added to the concert-like vibe and high cocktail tables scattered around the fringe of the dance floor gave people a place to pause, chow down, then get back to the party. 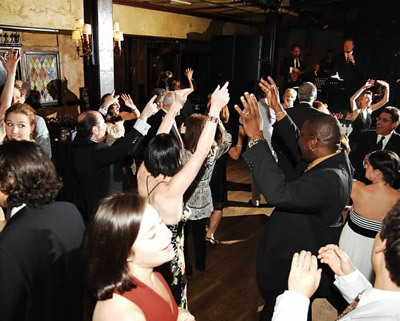 Most of our guests arrived in New Orleans on Thursday night, since, if you're going to a wedding in New Orleans, why not get down there a couple days early to eat your face off and bask in the 85-degree April temperatures? We offered special rates at three hotels which we chose for central location (i.e. the French Quarter) and relative proximity to our events. Most people stayed at the Royal Sonesta which is a beautiful, large hotel on Bourbon Street and is home to my very favorite red beans in all of the FQ: Desire Oyster Bar. There's an interior courtyard with a pool, and I'm here to tell you the Bridal Suite is perfect for a group of moms and bridesmaids getting ready on the morning of, and enjoying the in-room Jacuzzi with your husband the morning after! On Thursday afternoon we had lunch with my parents at one of our favorite restaurants, NOLA (an Emeril Lagasse spot); if it had been around in 2007 we probably would have gone to our new favorite Domenica at the Roosevelt Hotel (Chef John Besh). That night we gathered everyone in the courtyard at Pat O'Brien's, a legendary New Orleans bar and perfect for large groups. 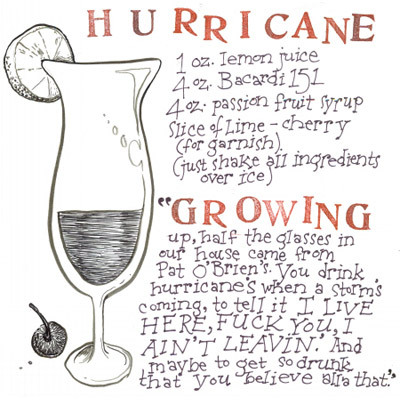 We drank hurricanes and hung out by the fire fountains until the wee hours. Even my grandmother made her way to Pat O's! We did not avail ourselves of karaoke that night but a different group could have a lot of fun at the on-site piano bar. 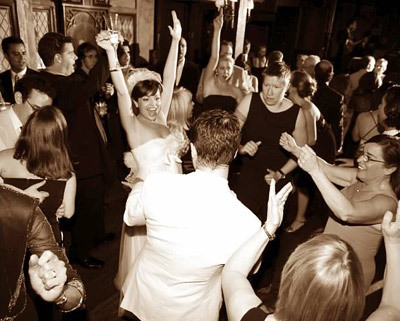 We didn't have the wherewithal to plan one of those wedding weekends with activities up the wazoo – as mentioned, we basically stuck to the three tenets of food, drink, and music. If you wake up in New Orleans on a beautiful sunny Friday morning in the middle of the French Quarter and can't amuse yourself until the rehearsal dinner, well, there's no helping you. But some things we could have told people to do? 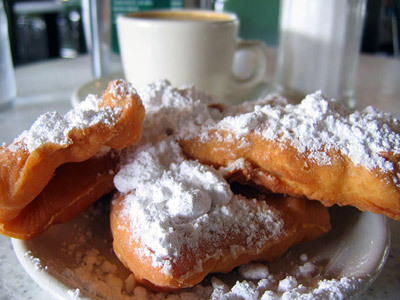 • Start your day at Cafe du Monde with an order of beignets and cafe au lait. • Walk down to the French Market and acquire some tchotchke to remind you of your trip. • Walk along the Mississippi River; if you're feeling brave, take a ride on the Steamboat Natchez. • When it's next time for alcohol, get thee to the Old Absinthe House (conveniently located next door to the Royal Sonesta) for the best Bloody Mary in the city. We've done several taste tests, we know this to be fact. • If you really feel the need to go to Audubon Park or visit the WWII museum, that's great, but shouldn't you be eating lunch? Some of our favorite lunch spots are Stanley's, Acme Oyster House or Felix's for po' boys; Sylvain for their giant fried chicken sandwich; the aforementioned NOLA or Domenica; and Desire Oyster Bar for oysters, red beans, and cold beer. And for my husband's favorite sandwich of all time (the debris po' boy) and site of our rehearsal dinner on Friday night – run, do not walk – to Mother's on Tchoupitoulas and Poydras. We rented out the then-newly renovated giant back room at Mother's (Mother's Too) for about 100 people but any time of day is a good time to be eating those po' boys. My favorite is half fried shrimp and half fried oyster, because I'm indecisive like that. The "debris" is made up of all the little shavings from their roast beef po' boys that fall down into the vat of meat juice as the slices are being cut. Then they scoop up mounds of flavorful, juicy beef and dump it on a loaf of French bread (always order your po' boy "dressed" with mayo, cabbage, tomato, and pickles) and your job is to eat it before it falls apart. Did I mention they also serve root beer? After the rehearsal dinner most of our group wandered back to Bourbon Street and found themselves a good time in any number of small, elegant bars (The Carousel Bar at the Hotel Montleone; the Sazerac Bar at the Roosevelt) or loud, smoky, cheap-drink dives with live music, mostly cover bands, playing all your favorite drunken singalong hits (Cat's Meow, The Bourbon Cowboy, Fais Deaux Deaux, The Famous Door, Fat Catz, Funky 544, the list goes on...). 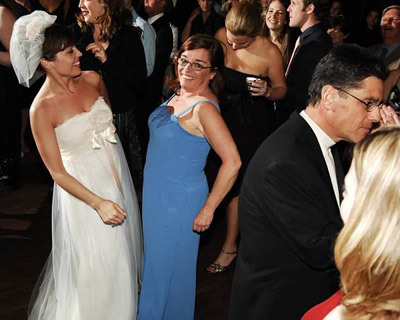 It may or may not be true that some members of the wedding party spend some quality time at Rick's Cabaret. I'll not comment further. 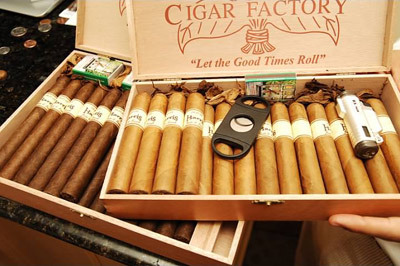 On Saturday morning, the bridesmaids (wearing BCBG) and moms gathered in the Bridal Suite at the Royal Sonesta while the groomsmen got into their seersucker suits and smoked custom rolled cigars (which we'd ordered and picked up from the Cigar Factory on Decatur); those became party favors at the end of the night as well. 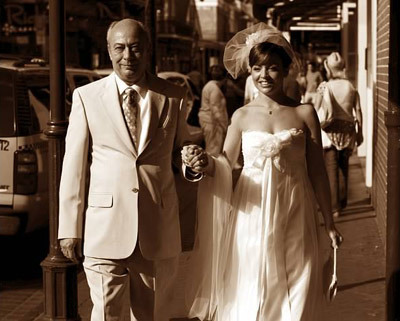 Eventually, I walked a few blocks through the French Quarter in my wedding dress (Claire Pettibone – perfect for the shabby-chic, romantic FQ vibe) with my dad to the House of Blues; the photographer, Stacy Marks (highly recommend him), documented our journey. 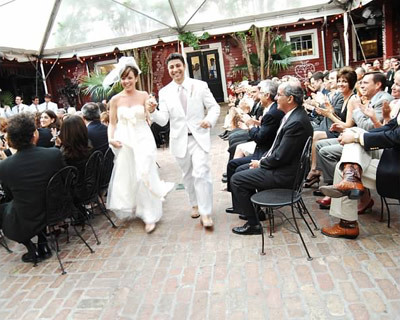 After the ceremony, our guests were led outside and along Decatur Street by a New Orleans Dixieland jazz band and did a traditional second line dance up to the front entrance of the House of Blues. Sadly I have no photos of people waving their "Sarah & Judd" handkerchiefs around, as we stayed behind to take wedding photos and eat mashed potatoes before commencing the real party upstairs in the Parish Room. People danced until they dropped, then got up and danced some more. The cake was one of our favorite New Orleans desserts rather than a traditional wedding cake. A chocolate doberge (pronounced "dough-bash") from Gambino's, which is twelve alternating layers of yellow cake and cold chocolate pudding, all encased in a thin chocolate fondant icing. Because the doberge cakes are so heavy, we found out they didn't stack well, so we just ordered like seven of them and didn't worry about a pretty display. Once people started eating it, there were no complaints. For most people, the party continued well into the morning hours on various hotel balconies along Bourbon Street, and probably a few clubs that should remain nameless. In part because we knew how much fun everyone was destined to have at the wedding itself, we refused to partake in a day-after brunch (we had that Jacuzzi, after all) so our family and guests were on their own come Sunday morning. Something tells me nobody had any trouble finding a hangover-curing brunch. this is killer. my bff lives in NOLA & showed me a fantastic time on my last visit- including 99.99% of this awesome bride's to-visit list. i'll be checking out that other .01% next time. p.s. the BREAKFAST there. omygod. i wish i could remember the names of the 3 places we went in the AM... the breakfast blew. my. mind. Gah! We did a New Orleans honeymoon and it was awesome. Of course we did a ton of stuff on this list, but I think one of our favorite things was lunch at Commander's Palace. 25 cent martinis people!! 25 cents! Plus it affords you the opportunity to see the Garden District. My husband and I live in New Orleans and got married in Audubon Park this year. New Orleans is gorgeous and has so much character, both in the French Quarter and in the outlying bits (we live in Mid-City and are in love with it). I totally agree that Domenica is awesome (and it delivers to my office), as are John Besh's other restaurants, my favorite of which is August in the CBD. Everyone should come and visit ASAP. This is my life; except we got married in City Park. Woot Mid-City! Sometimes we don't leave our little radius of Finn's, 12 Mile, Banks Street for weeks at a time. Will do! He makes some seriously stellar BBQ. errmygurd. you had me at drink. and at claire pettibone. Er herm: We put this together for our guests, but I feel I must share it with the ESB community to spare y'all the misfortune and blandness that is Mother's. 1. Brigtsen's: You should do your taste buds a favor and go here - and order the butternut shrimp bisque. 2. Tartine: A Saturday tradition! This gem next the river features freshly baked bread, homemade pate (what?! ), and the best darn eggs in brioche you'll ever taste. 3. Serendipity: Our first New Orleans date was at Chef Chris' former French Quarter eatery The Green Goddess (it's still opened so try that out too), and as a result, we will follow Chef Chris anywhere. With Chef Chris - dinner is the show. 4. Root: This warehouse restaurant feels like it could be in Doctor Who - A Doctor Who with Charcuterie and strawberry mustard. The menu is ever-changing, but don't neglect the Yorkie for dessert. 5. Meauxbar: In addition to the drinks, this place's credibility can be gauged by its comittment to making fries that are similar to McDonald's - but these frites come with moules. 6. Magasin: Casual hipster Vietnamese on Magazine Street. The filet mignon pho is not to be ignored. Plus this is a great starting off point to go explore Magazine Street and all of its local shoping glory. 7. Parkway Bakery and Tavern: There is no better place to get your carb fix than this local spot on the bayou - especially when you can get a french fry po'boy with roast beef debris on top. Don't forget the root beer in the bottle. Agreed regarding Mother's. Good stuff on this list. Sarah's recommendations would be enjoyable to most outsiders, but full of the typical tourist traps. New Orleans has so much more to offer. 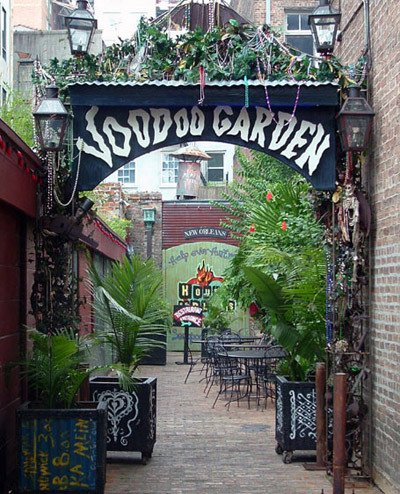 Exploring the world outside the French Quarter makes for a much more interesting experience. Also want to chime in and agree re: the overrated-ness of Mother's. New Orleans has so many wonderful neighborhood spots where you can eat much more delicious tracks—the Parkway, Liuzza's by the Tracks, Casamento's.... just listing these makes me hungry. whoops—more delicious foods, I mean. Another Nola local agreeing about Mother's. There are so many po-boy spots that are better and filled with locals not tourists: Guy's (on Magazine), Parkway, Domilise's, etc. Also, get out of the Quarter and go to Frenchman Street for live music! Annnnd some nighttime choices: If you must go down Bourbon Street, stop at Chris Owens night club. Why? Because she's like 80 and you have to admire that kind of persistence. If not, we recommend you stick to the Faubourg Marigny. Our favorite spots include: Three Muses (smoke free! ), DBA (epic beer selection), and Mimi's in the Marigny (60's Soul Night is the best). Another French Quarter favorite is Molly's at the Market. Be nice to Kate and get the Frozen Irish Coffee. Getting married tomorrow in NYC and honeymooning in NOLA. Since Sandy interrupted our plans for an outdoor ceremony in the park, we put planning honeymoon siteseeing on the back burner. Thanks for posting this and taking something off our "to fret about" list! 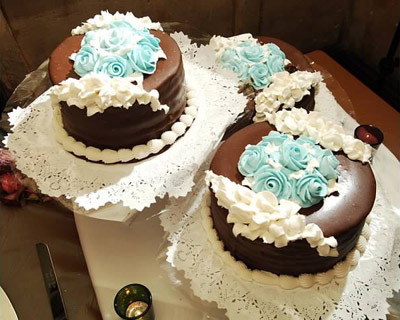 She can do any flavor combination that you could possibly think of (seriously... try her) and they do tiered cakes. 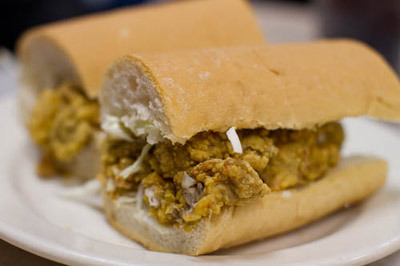 To the Mother's hatahs: my husband was born and raised in New Orleans and that Debris po' boy is literally HIS FAVORITE SANDWICH EVER so you can dis on Mother's all you want but it has this local's seal of Mother['s]f*ckin' approval. 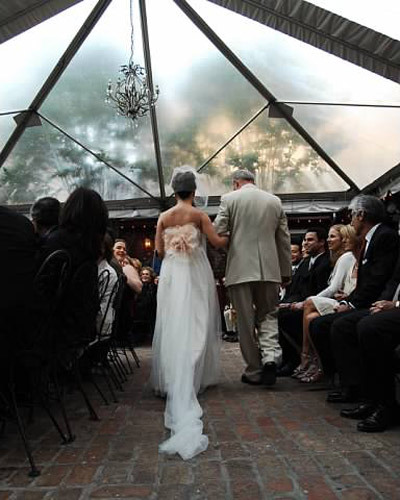 Additionally, we have lots more NOLA love to spread but this post was limited to what we did on our wedding weekend. kudos to those who love August, our #1 favorite NOLA fine dining spot in the last couple years. Also Casamento's, Rue 127, Clancy's, Commander's (oh my god the cochon de lait eggs and BBQ shrimp) and Jean Lafitte's for late night piano bar boozing. There is so much to love about N'Awlins, we hope y'all come back now. Feel the need to chime in here as my brother and his wife threw a KILLER wedding in the French Quarter in November 2010. 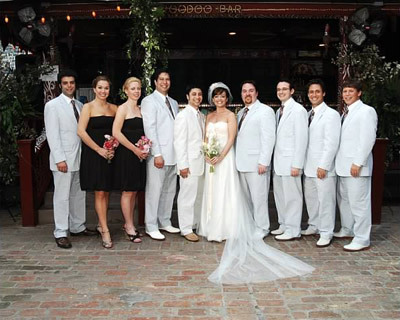 I can provide more details if people are interested but the short version of the story is that most of us all crashed at Hotel Montleone (great bridal suite and the Carousel Bar was fantastic pre-construction fiasco, haven't been there in 10 months so I don't know the current status). Rehearsal dinner at Herbsaint Restaurant followed by a private cocktail reception to welcome guests at Tujague's with a killer jazz trio playing. Wedding day the boys had brunch at our family favorite, Cafe Atchafalaya, girls grabbed a quickie lunch at Green Goddess post manicures. The ceremony and reception were in the courtyard at the incredible Cafe Amelie which I honestly cannot recommend highly enough. Danny is literally like family now. Oh and if it helps, here's a Google Map I put together for my bro/sil's wedding guests with restaurants, hotels, bars, etc. Born and raised in NOLA, current evil eastside LA hipster bride: I grew up having a huge slab of the Gambino's doberge on each and every birthday. That photo makes my mouth water and brings tears to my eyes. Good recs all around, though I too find Mother's pretty passable. Don't overlook the Bywater - had a great meal when I visited at Maurepas Foods and a fun time at Bacchanal.